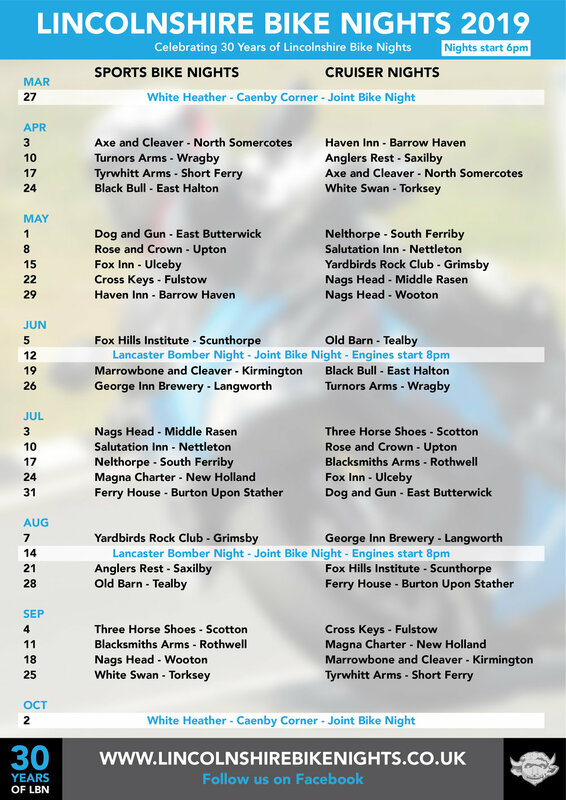 We’ve finally managed to get the 2019 bike night list ready and posters created. This year celebrates 30 years of bike nights in and around Lincolnshire. Thanks to all the bikers who have attended over the years!!! As always bike nights start at 6 pm. All bikers are welcome to all events, no matter what you ride. Hope to see you all at this years venues.